The endorsement signals that the GOP sees the potential for another special election upset in enemy territory. Gov. Greg Abbott is wading into the special election for House District 125, endorsing the sole Republican in the race — a sign that the GOP sees upset potential in the Democratic-leaning Bexar County district. Abbott gave his support Thursday to Fred Rangel, a GOP activist who is up against four Democrats in the Feb. 12 contest to replace former state Rep. Justin Rodriguez, D-San Antonio. Rodriguez gave up his seat earlier this month after being appointed to a Bexar County commissioner's seat. "Fred has been an active local Republican and business and community leader in San Antonio for many years," Abbott said in a statement. 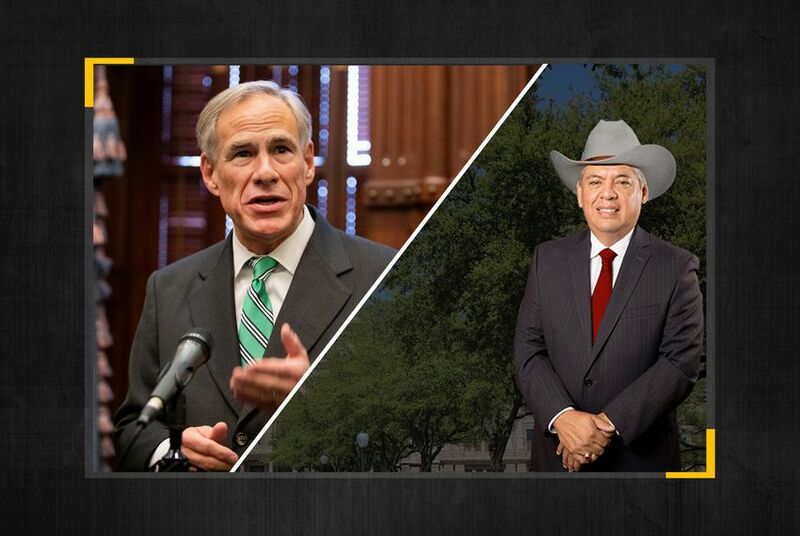 "He shares my commitment to reining in property taxes and ensuring that Texas remains the nation’s economic leader. I am asking all constituents in House District 125 to turn out and vote for Fred Rangel in this special election." Democrats are expected to hold HD-125, but the GOP showed last year it could score an offseason victory in enemy territory when Pleasanton Republican Pete Flores won the special election for Senate District 19. Rangel is working with the same consultant who aided Flores, Matt Mackowiak. The four Democrats also on the ballot in HD-125 are Steve Huerta, a social justice activist; Ray Lopez, a former member of the San Antonio City Council; Coda Rayo-Garza, an education policy expert; and Art Reyna, who held the HD-125 seat from 1997 to 2003. The race for HD-125 is the fourth special election to fill a vacancy at the state Capitol since the midterms, but this is the first one that has drawn the governor's involvement. The previous three also featured GOP candidates running in traditionally Democratic districts. Early voting for the HD-125 special election began Monday and ends Feb. 8.